James Chaulk was born on 27 May 1881 at St Helens, Lancashire. He died on 4 September 1882 at St Helens, Lancashire, at age 1. Margaret Anne Chaulk was born on 18 December 1887 at St Helens, Lancashire. She died on 18 September 1888 at St Helens, Lancashire. 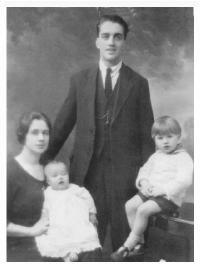 John David Chaulk was born on 26 December 1888 at St Helens, Lancashire. He died on 27 October 1889 at St Helens, Lancashire. Her married name was Hart. 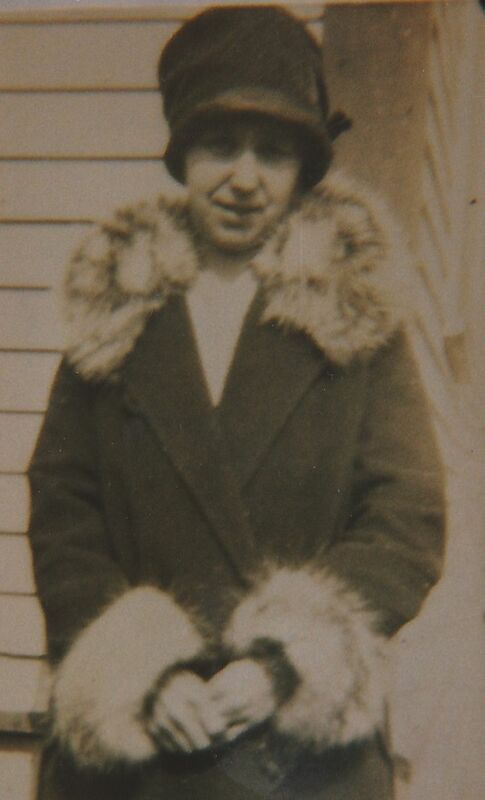 Emily Blanche Chaulk was born on 6 December 1892 at St Helens, Lancashire. She appeared on the 1901 Census in 24 Church Street, St Helens, Lancashire, and Thomas Chaulk, Elizabeth Catherine Williams, William Henry Chaulk, Mary Elizabeth Chaulk, Jane Ellen Chaulk, Christopher Chaulk, Annie Chaulk, Maggie Chaulk, Charles Harold Anderson Chaulk and Thomas Chaulk were living in the same household; Thomas was described as a platelayer (railway), William a boilermaker and Mary a waggon sheet ringer. Emily Blanche Chaulk married George Henry Hart. Emily Blanche Hart witnessed the immigration of George Henry Hart on 24 May 1960 at, ; George and Emily arrived in Liverpool coming from Montreal. They were headed for 1 Grenfell Road, Manchester which may have been the address of his brother, and gave the length of stay as 4 months. George was retired and Emily a houswife. Emily Blanche Chaulk died in 1979 at Canada. She was buried in 1979 at Canada. Marriage* She married George Henry Hart. Her married name was Gathercole. Annie Chaulk was born on 9 February 1895 at St Helens, Lancashire. She appeared on the 1901 Census in 24 Church Street, St Helens, Lancashire, and Thomas Chaulk, Elizabeth Catherine Williams, William Henry Chaulk, Mary Elizabeth Chaulk, Jane Ellen Chaulk, Christopher Chaulk, Emily Blanche Chaulk, Maggie Chaulk, Charles Harold Anderson Chaulk and Thomas Chaulk were living in the same household; Thomas was described as a platelayer (railway), William a boilermaker and Mary a waggon sheet ringer. Annie Chaulk married Harold A. Gathercole in 1916. Annie Chaulk died in 1990 at Canada. Maggie died of TB at 24 years. Had one child, a girl. Her married name was Spencer. Maggie Chaulk married (?) Spencer. Maggie Chaulk was born on 27 April 1897 at St Helens, Lancashire. She appeared on the 1901 Census in 24 Church Street, St Helens, Lancashire, and Thomas Chaulk, Elizabeth Catherine Williams, William Henry Chaulk, Mary Elizabeth Chaulk, Jane Ellen Chaulk, Christopher Chaulk, Emily Blanche Chaulk, Annie Chaulk, Charles Harold Anderson Chaulk and Thomas Chaulk were living in the same household; Thomas was described as a platelayer (railway), William a boilermaker and Mary a waggon sheet ringer. Maggie Chaulk died on 30 October 1921 at age 24. 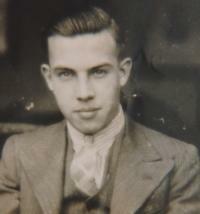 Thomas Chaulk was born on 11 August 1900 at St Helens, Lancashire. He appeared on the 1901 Census in 24 Church Street, St Helens, Lancashire, and Thomas Chaulk, Elizabeth Catherine Williams, William Henry Chaulk, Mary Elizabeth Chaulk, Jane Ellen Chaulk, Christopher Chaulk, Emily Blanche Chaulk, Annie Chaulk, Maggie Chaulk and Charles Harold Anderson Chaulk were living in the same household; Thomas was described as a platelayer (railway), William a boilermaker and Mary a waggon sheet ringer. Thomas Chaulk died in October 1901 at St Helens, Lancashire, at age 1. (?) Spencer married Maggie Chaulk, daughter of Thomas Chaulk and Elizabeth Catherine Williams. Arthur William Fountain was born circa 1888. He married Mary Elizabeth Chaulk, daughter of Thomas Chaulk and Elizabeth Catherine Williams, on 9 April 1910 at, St Helens, Lancashire, , and the ceremony was witnessed by Jonathon Robert Almond and Jane Ellen Chaulk; Mary lived at 104 Peckers Hill Road at the time of the marriage, and Arthur was a collier. Arthur Fountain was born circa 1913 at St Helens, Lancashire. He died on 15 February 1998 at Stoke, Staffordshire; suffering a heart attack. Harold Fountain was born after 1910. Her married name was Worrall. Dorothy Fountain was born after 1910. She married Stanley Worrall in 1943. 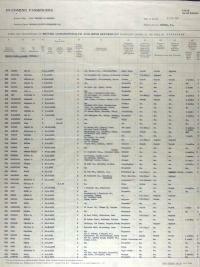 Only Alfred Fountain in Lancs census. (?) (?) married Alfred Fountain. Her married name was (?) Fountain. William Ernest Cashmore was born on 20 June 1890 at Cobden, Ontario, Canada. 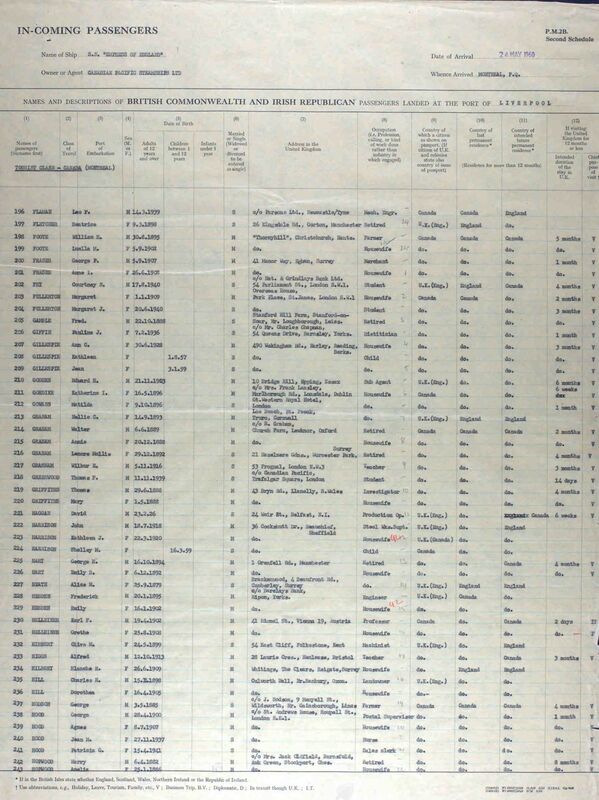 He appeared on the 1911 Census in, Sudbury, Ontario, , Canada, and Jane Ellen Chaulk, Mary Ann Cashmore, Pearl Chaulk, Gladys Mae Chaulk and William Henry Chaulk were living in the same household; William was a boilermaker in the mines and earned $1248 in the year working a 60 hour week for 40c per hour. Jennie, William's sister was staying with them at the time, and a lodger was William Cashmore who Jennie later married. William Ernest Cashmore married Jane Ellen Chaulk, daughter of Thomas Chaulk and Elizabeth Catherine Williams, on 5 August 1911 at Cobden, Ontario, Canada. William Ernest Cashmore died on 29 October 1940 at Sudbury, Ontario, Canada, at age 50; He died in an accident at work. He was a furnace tapper and while knocking slag from the pots he accidentally stepped out in front of a slag train and was killed instantly. He was buried at Sudbury Churchyard, Canada. Her married name was Johnson. Her married name was Roach. 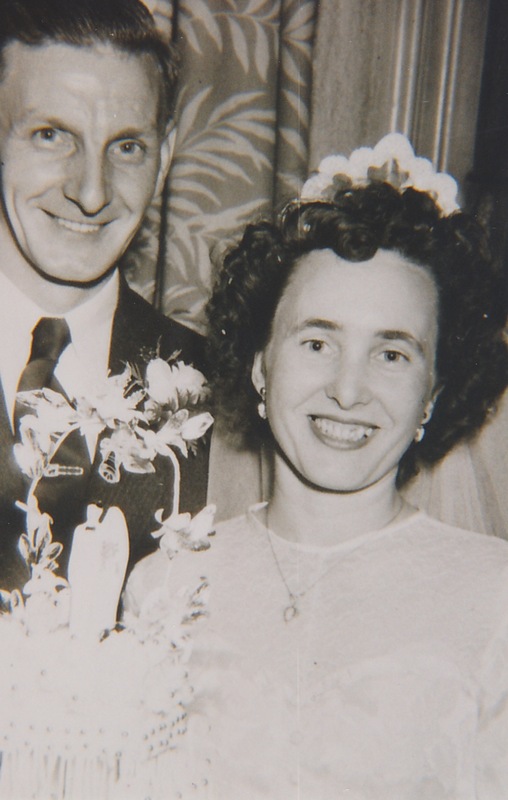 Blanche Cashmore married Rob Johnson. Blanche Cashmore married Edward Roach. Blanche Cashmore was born. Her married name was Greig. Florence Catherine Cashmore was born on 27 January 1917. She married Diston Robertson Greig on 16 July 1948 at Sudbury, Ontario, Canada. Stanley Cashmore married Eileen (?). Stanley Cashmore was born. William Harold Cashmore was born in 1913. Diston Robertson Greig was born on 27 May 1907 at Leven, Scotland. He married Florence Catherine Cashmore, daughter of William Ernest Cashmore and Jane Ellen Chaulk, on 16 July 1948 at Sudbury, Ontario, Canada. Diston Robertson Greig died on 7 June 1973 at Sudbury, Ontario, Canada, at age 66.